Dancers MUST register in advance. 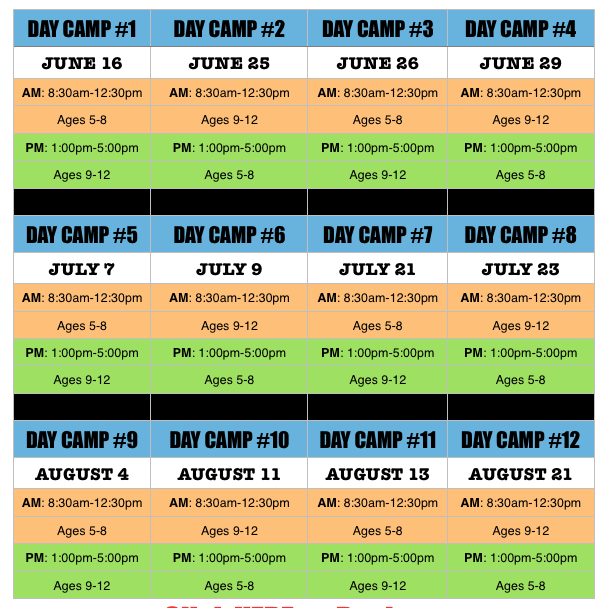 Minimum of 5 Dancers Required for each Day Camp. Max Dancers 10.